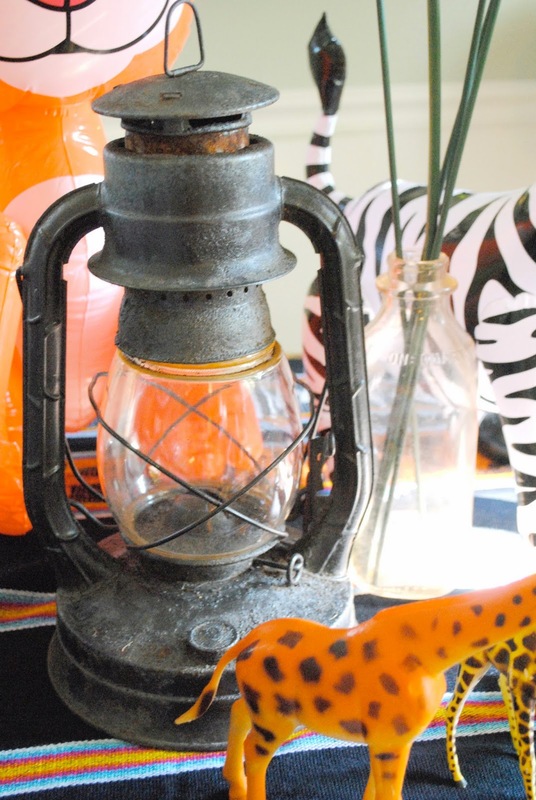 The Remodeled Life: Safari Party! 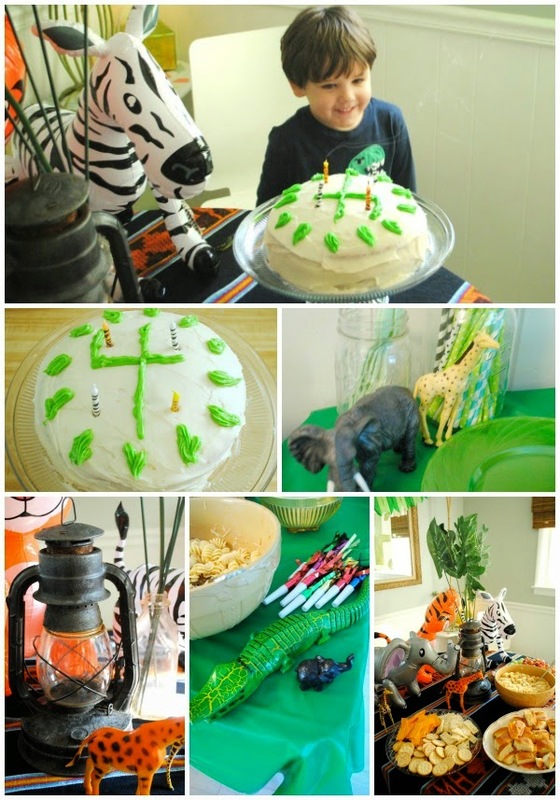 Silas has been 4 since October, so I guess its time to share a little of the details from the fun Safari Party that we had. So far we've done dinosaurs and race cars and if you know Silas an animal type of theme was our next go to. This was probably the easiest party I have put together for him. I didn't do a ton of diy for this one but still added some personal touches to make it special. 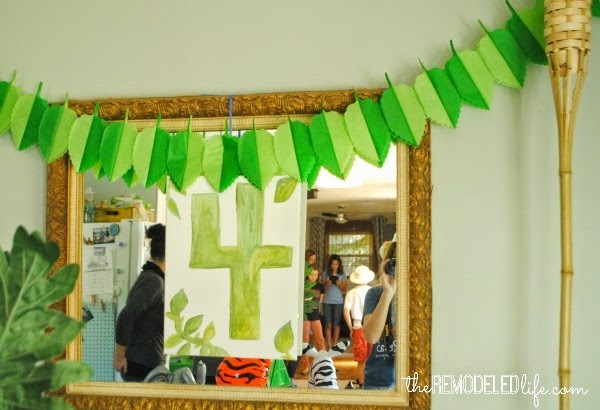 It really doesn't take hours and hours to pull together a fun party for your kids. Just a little planning ahead and you are golden. 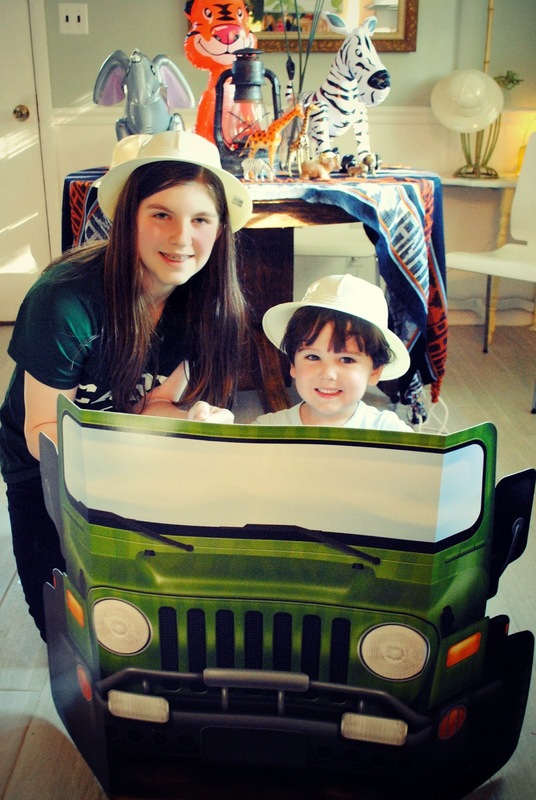 When we decided on a (loosely) based safari theme I knew I wanted to find some cute safari hats and a little prop for taking photos (the jeep cutout). I searched all around for these hats and kept coming up short. Most were just too pricey for as many as I wanted to buy. I ended up finding a great price online with Party Cheap. They had several great things for our theme so I also picked up the inflatable animals and leaf streamer from there. After ordering a few of the key elements we then used all sorts of things from around the house to put this whole thing together. 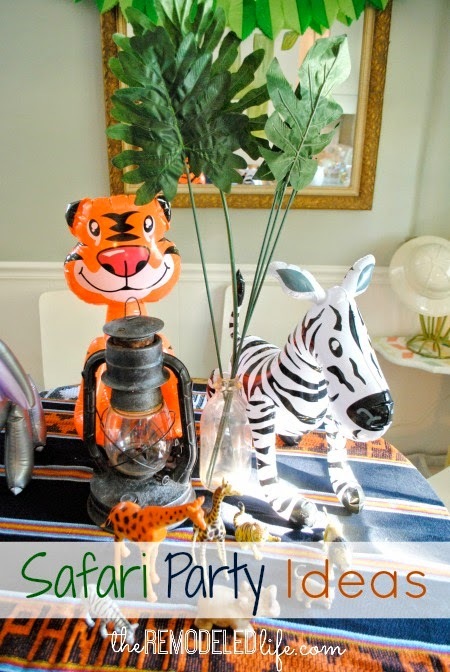 Plastic animal figurines (which Silas moved locations of the whole time), I reused the large faux leaves I got for his dino party a few years back (from the dollar tree), one of my antique lanterns and several items we have picked up from other countries we have visited. It was such a fun, easy and simple party. Initially I was going to try and find a fun animal or jungle type fabric print and make a table cloth. The time got away from me and I almost used a plastic one until I finally got creative and decided to use the awesome hammock we got on our last trip to Panama. It was fun and different and I loved it. Sometimes it just takes looking around your house for a minute to find a new use for an item you really like. So now for the one part that I did diy - the water color canvas. Usually I do some sort of banner but I wanted to try something different this year. I had some extra canvases, some paint, so why not? It took hardly anytime but added a personal touch to the whole thing. 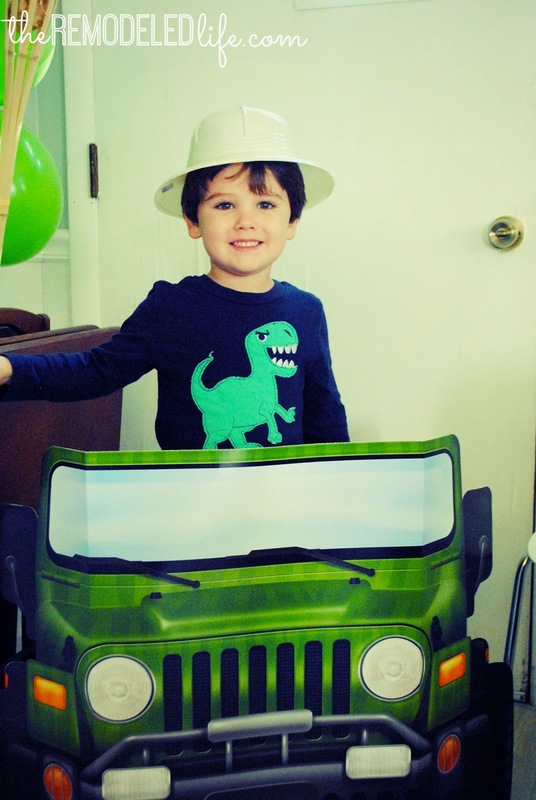 Its been 3 months and I still can't believe my little boy is 4. I really don't like to think about him getting much older. I'm just enjoying every moment the best I can. 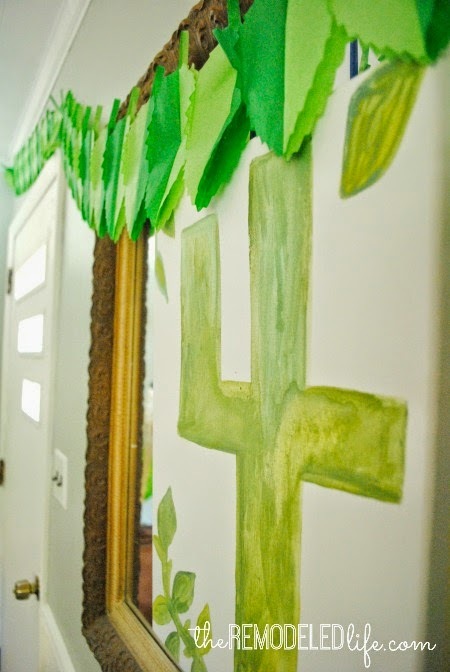 Every sweet hug, funny thing he says, prayers prayed, painting project and each little birthday.